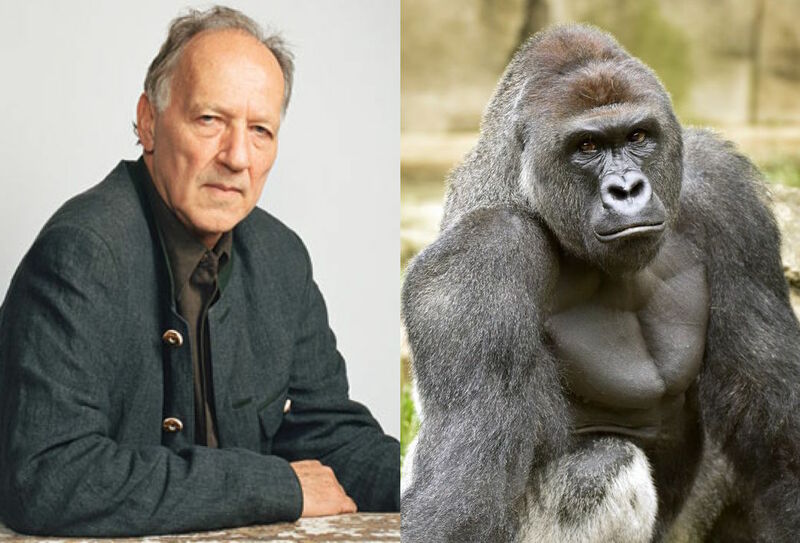 We've already heard beloved filmmaker Werner Herzog's take on Pokémon Go and Kanye West's "Famous" video, but one item was still missing from his zeitgeist checklist — the dearly departed ape Harambe. Earlier this year, a boy fell into the gorilla enclosure at the Cincinatti Zoo. Fearing that the boy would die, officials shot and killed the ape known as Harambe. Since then, the gorilla's death has become a meme that refuses to die. But what does Werner Herzog think? The iconic director was recently a guest on Katie Notopolous' reliably excellent "Internet Explorer" podcast for Buzzfeed. Further proving that she's doing the Lord's work, she asked Herzog what he thought of the world's favourite deceased primate. "I haven't seen any of this, but I do believe there are new forms of parody out there – new forms of irony, new forms of vile, anonymous interference of individuals into the internet," Herzog said of the Harambe meme. "So there's quite a few new phenomena out there, and I haven't quite started all of it. I'm just curious what you are saying of course. I think the internet is starting to develop its own humor." While he often comes across as an internet hater, Herzog also revealed a love of innocent cat videos. "When you are really down, you better switch on your laptop or smartphone and watch 60 seconds of crazy cat videos," he said. "It just lifts your spirits. Nothing wrong about it." Listen to Herzog's full "Internet Explorer" interview here. While it doesn't include any appearance from Harambe, Herzog's new internet-themed film Lo and Behold, Reveries of the Connected World is now playing.